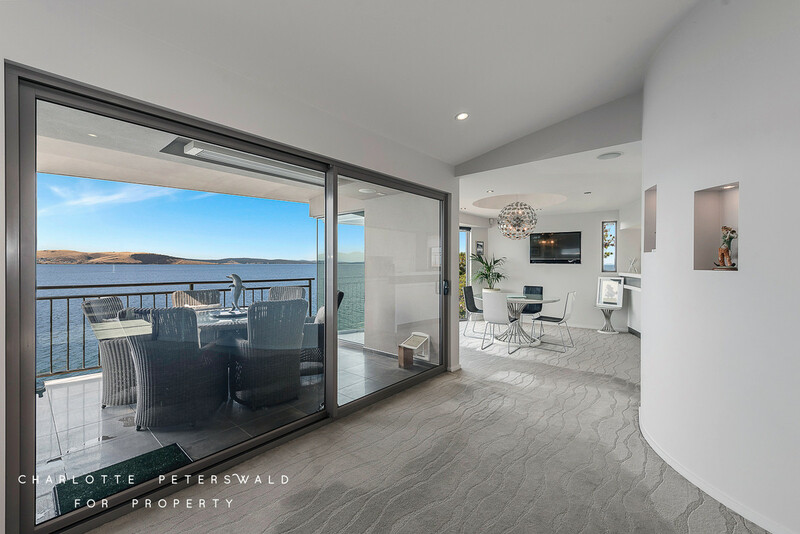 When searching for the epitome of style and superiority, look no further than this Sandy Bay address which is truly something special. 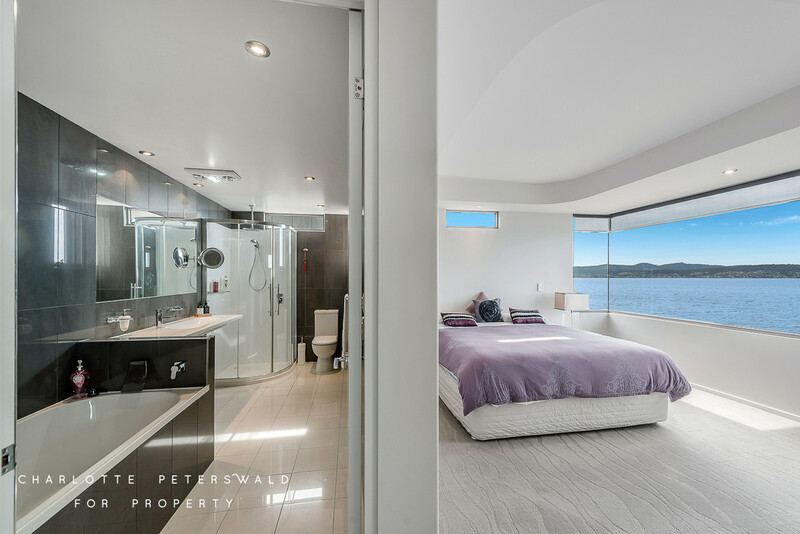 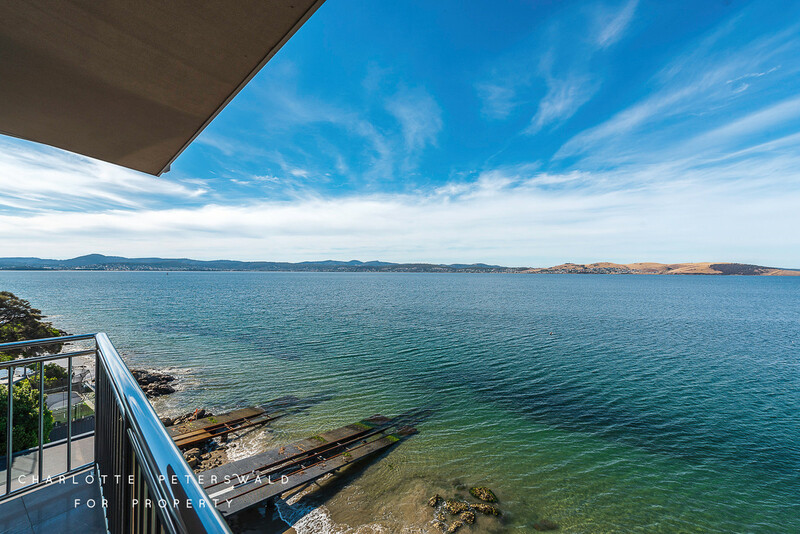 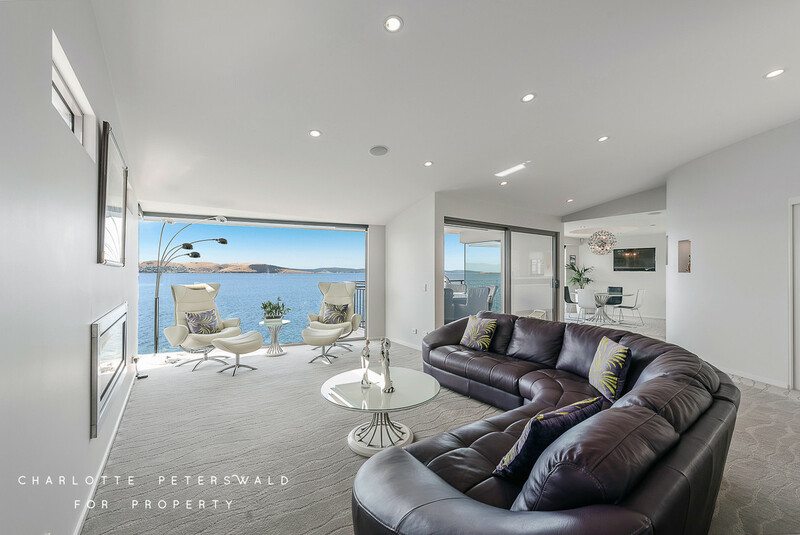 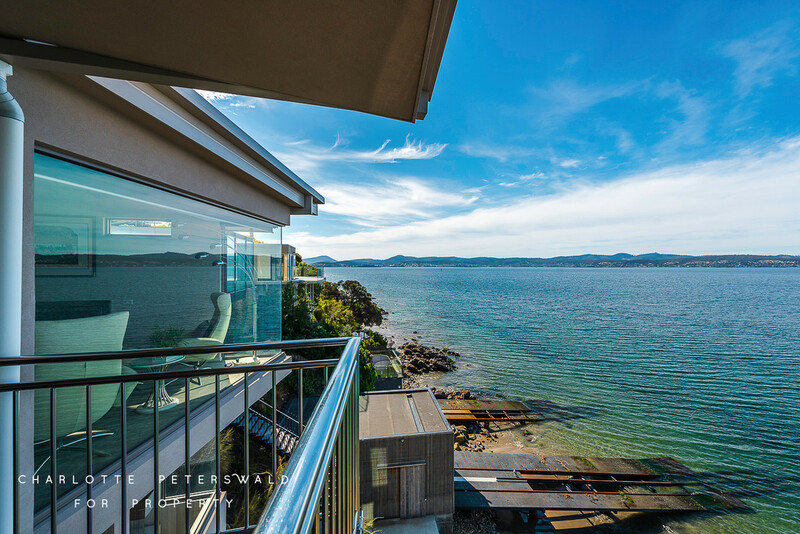 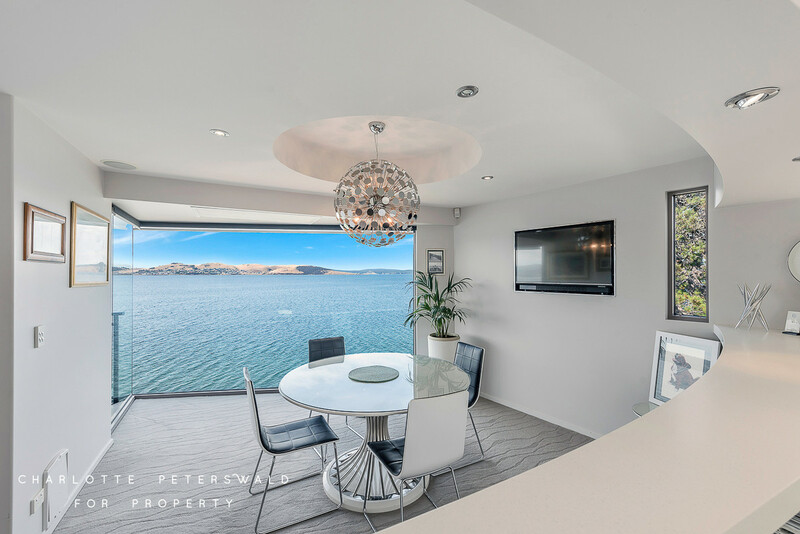 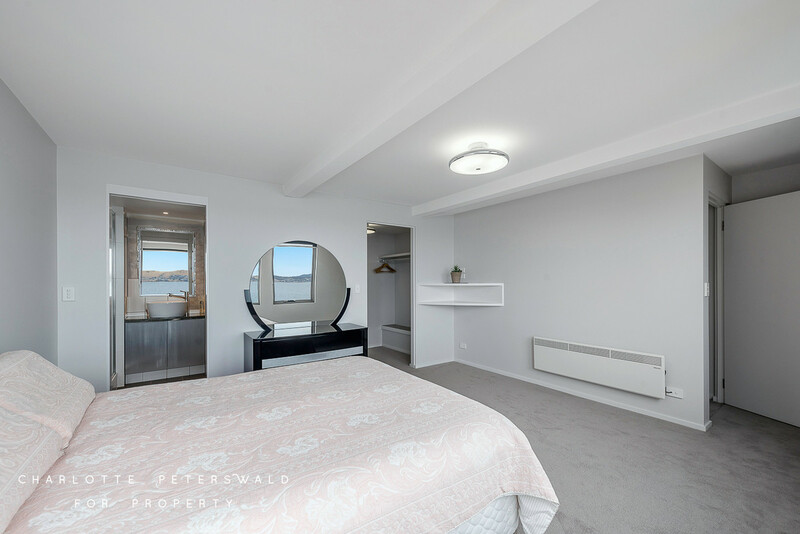 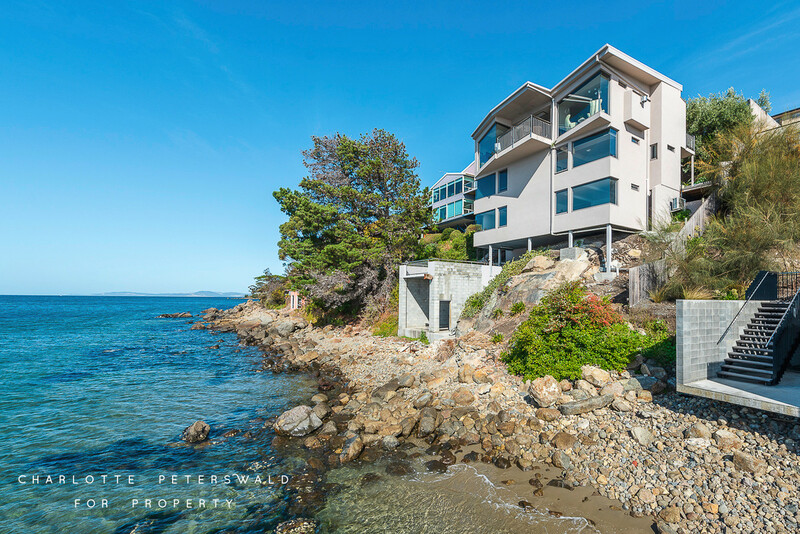 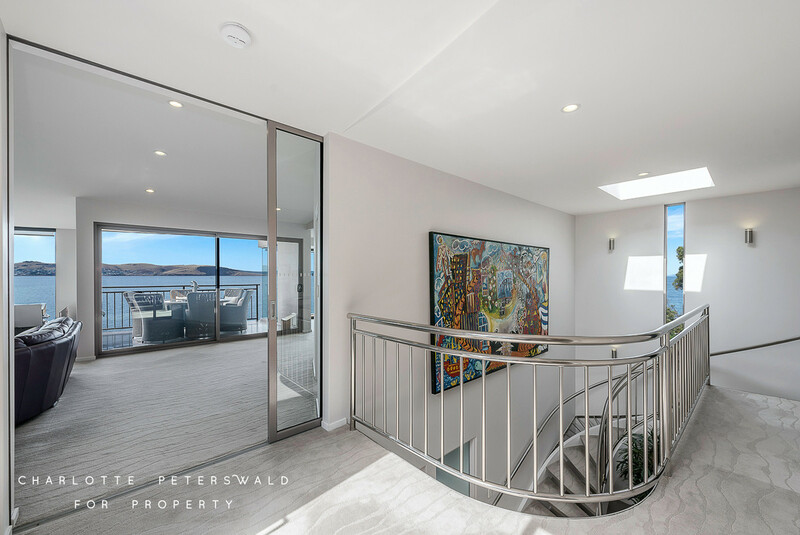 Occupying three levels and located in prime position on the waterfront, this stunning residence is more than just a home. 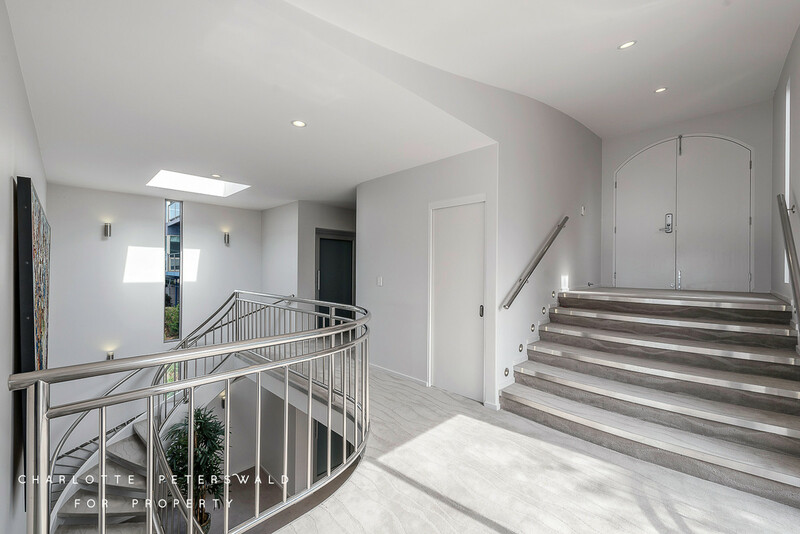 The combination of understated elegance and a sleek and neutral aesthetic allows sophistication to effortlessly shine through. 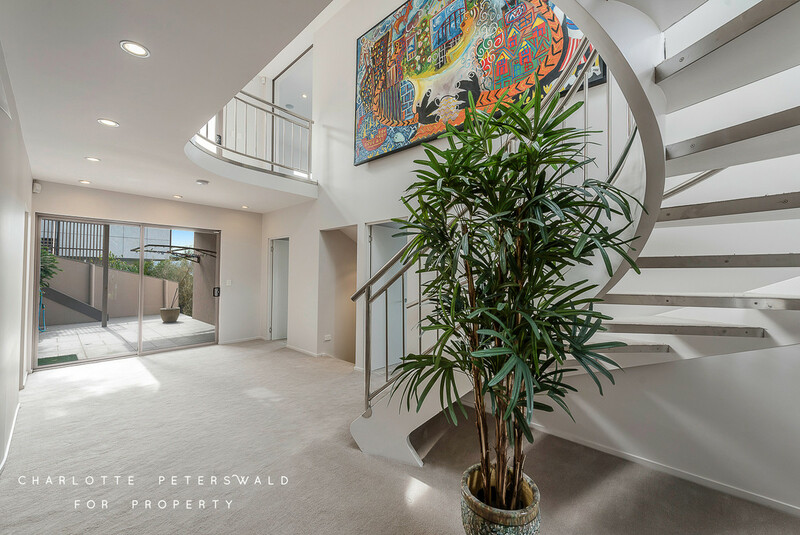 The upper-level’s open floorplan throughout the living spaces creates an inviting atmosphere. 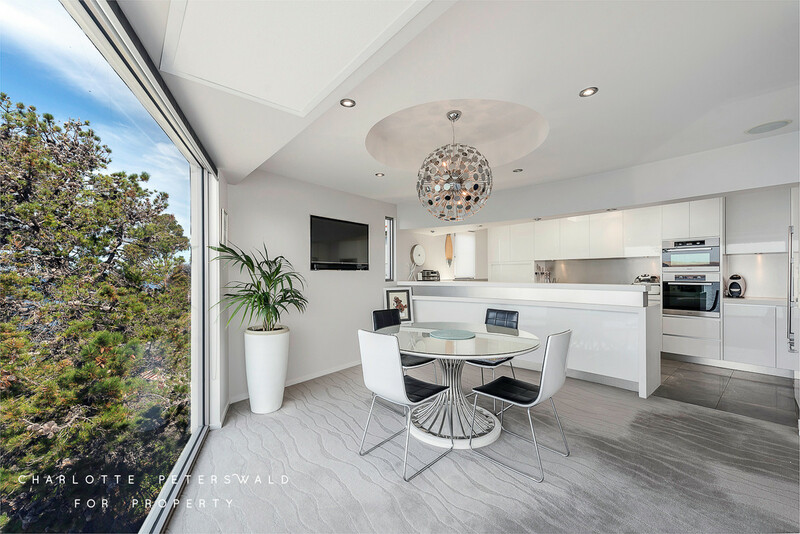 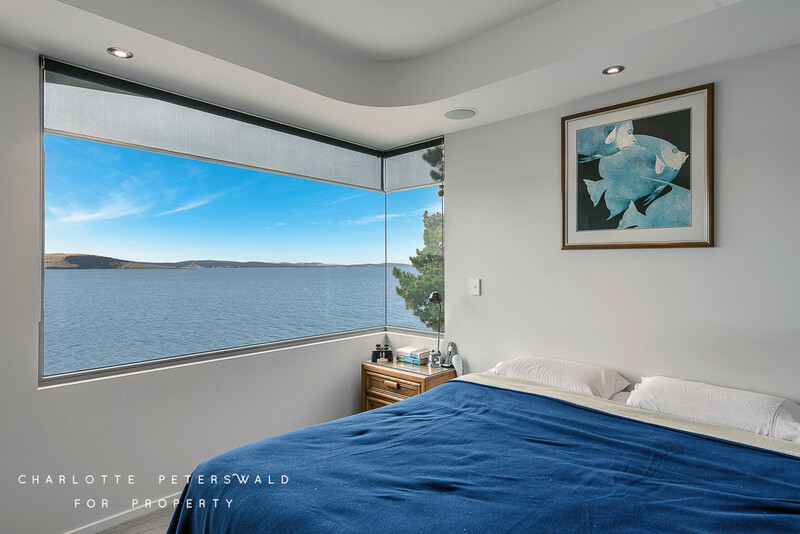 Floor-to-ceiling glass windows allows the area to bathe in natural light and extends through to the living, dining and kitchen to make the most of the magical vista. 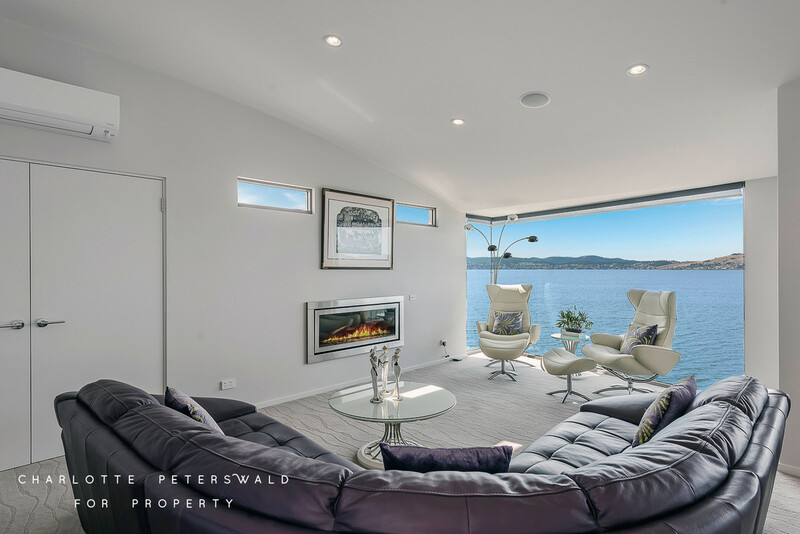 An in-built fire complements the comfortable living conditions. 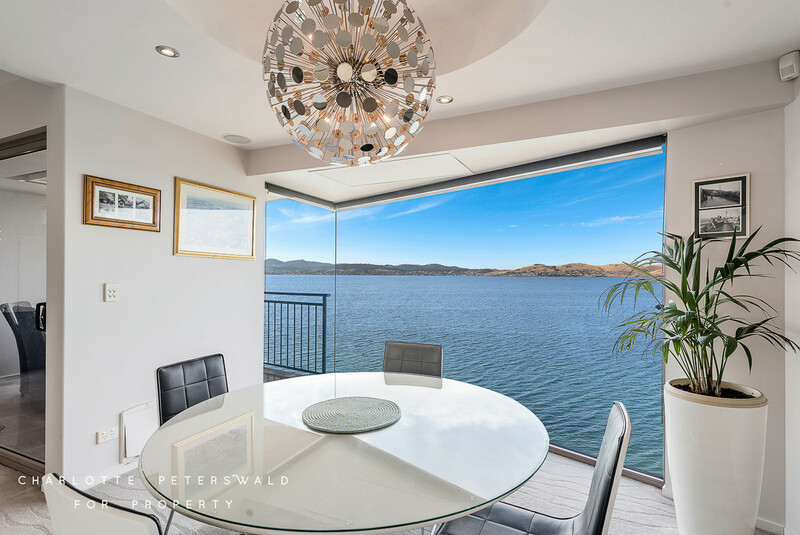 Fine dining is a given under designer lighting and accents with water views that are second-to-none. 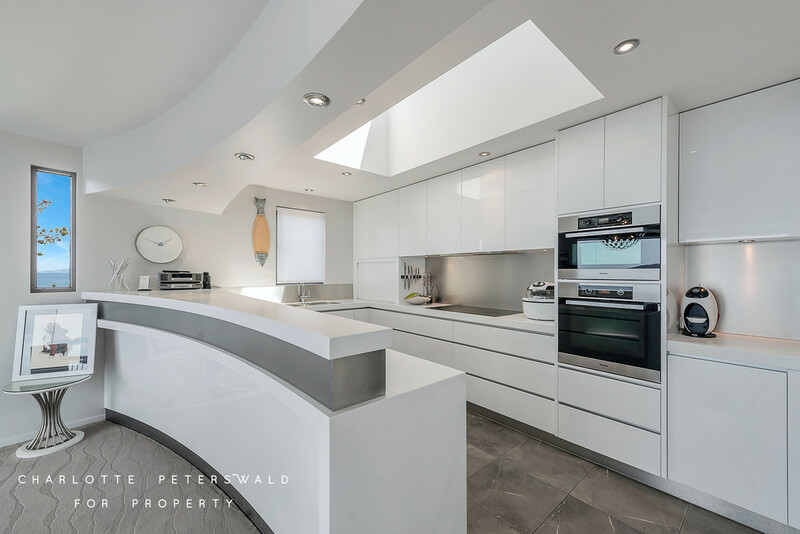 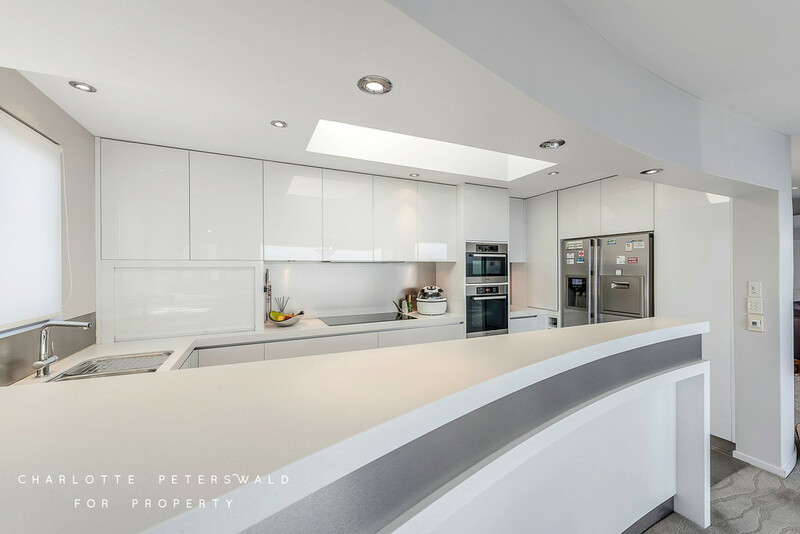 Time spent in the stylish kitchen will never be a chore while gazing upon the stunning outlook. 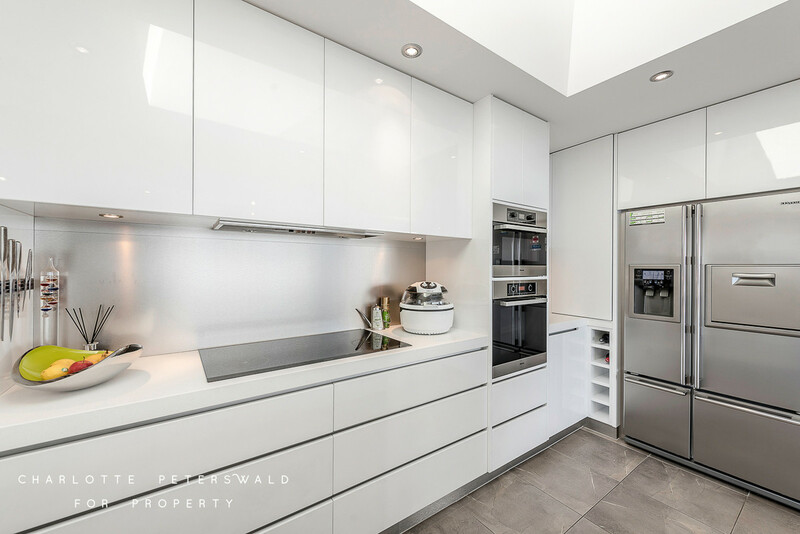 A sizable pantry and appliances of exceptional quality including a stainless-steel fridge, dishwasher, duel oven and electric stovetop and rangehood are all at your fingertips. 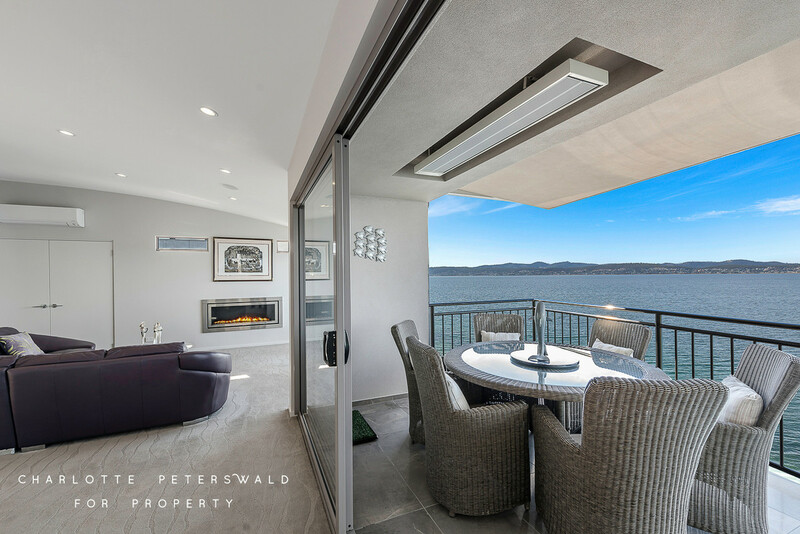 A BBQ terrace and balcony with overhead heating are both easily accessible and ideal for al fresco dining and entertaining year-round. 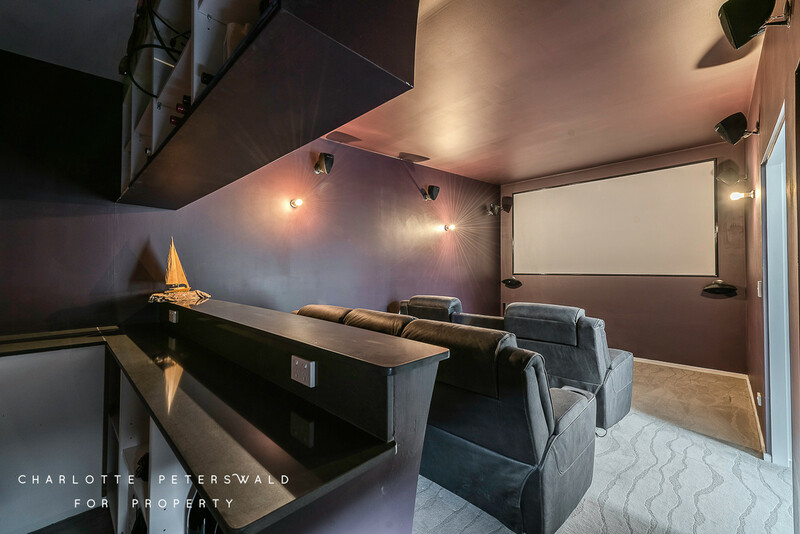 A home theatre allows you to relax in the comfort of your own home while enjoying the very best in entertainment quality. 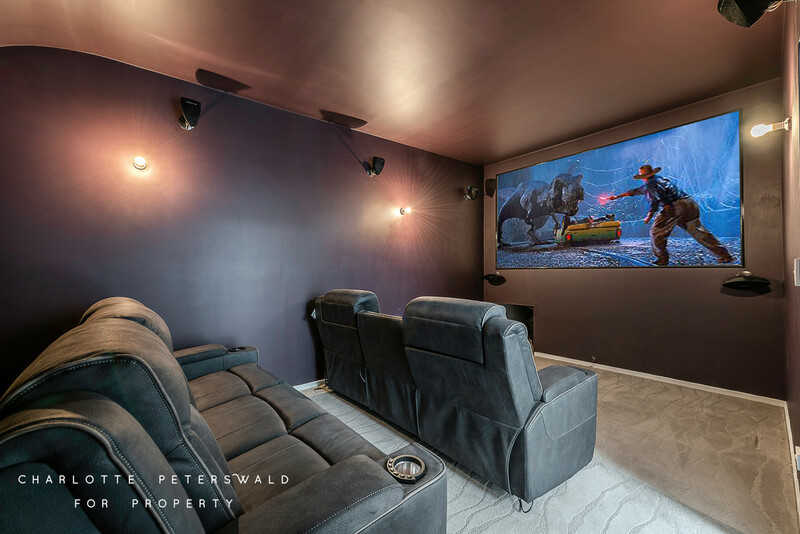 This room is also home to a bar to allow for uninterrupted viewing. 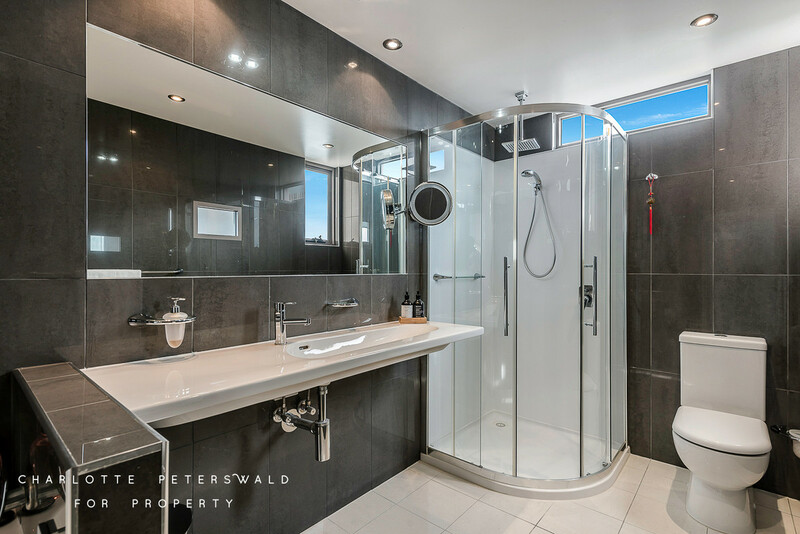 A powder room is located nearby for added convenience. 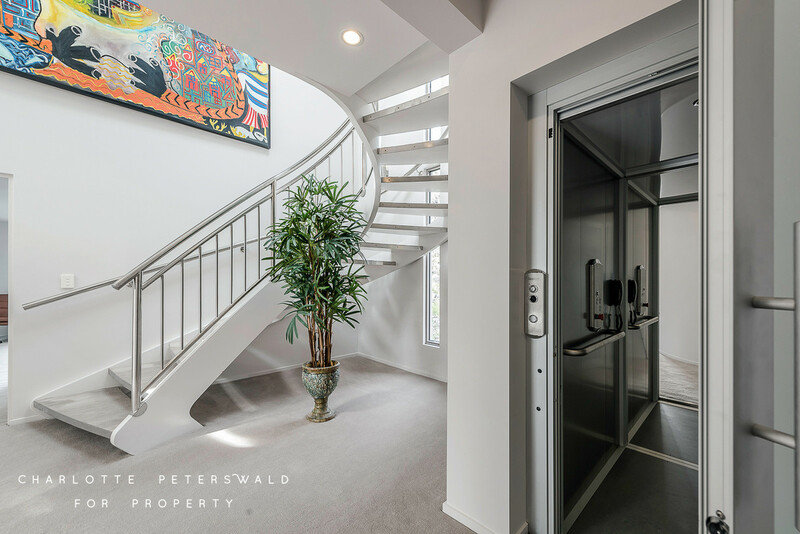 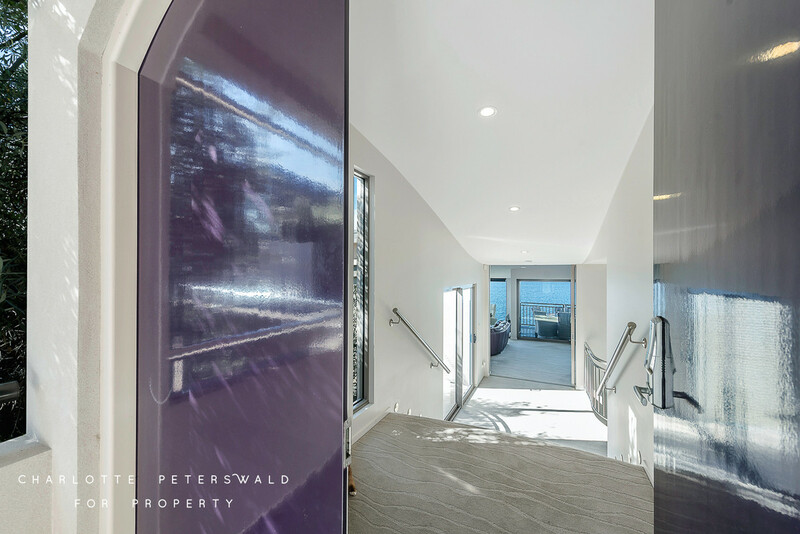 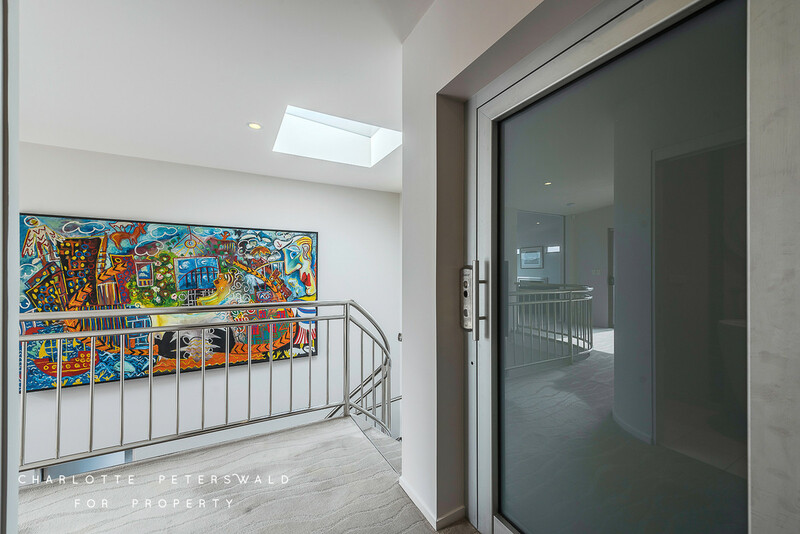 Down the spiral staircase to the lower-ground floor, or via the convenient internal lift, the gallery joins two generous bedrooms, both enjoying built-in wardrobes and water views. 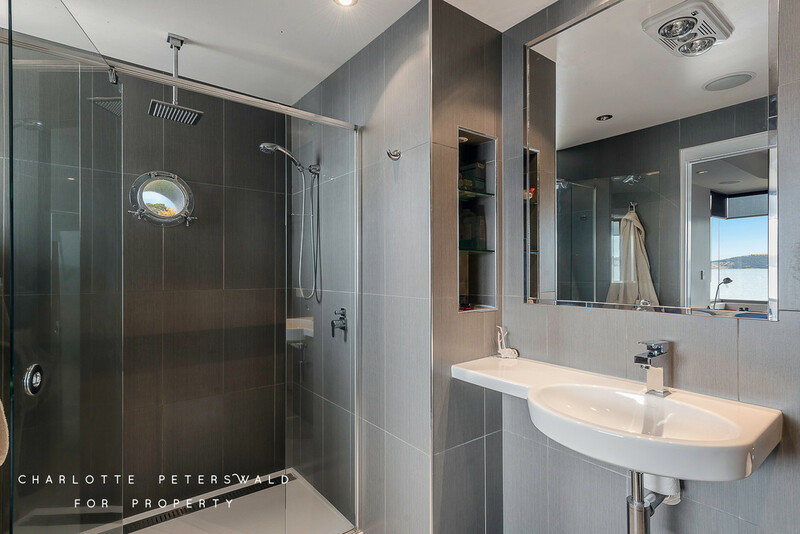 Each is serviced by its own elegantly presented en-suite complete luxurious showers, vanities and one with a bath. 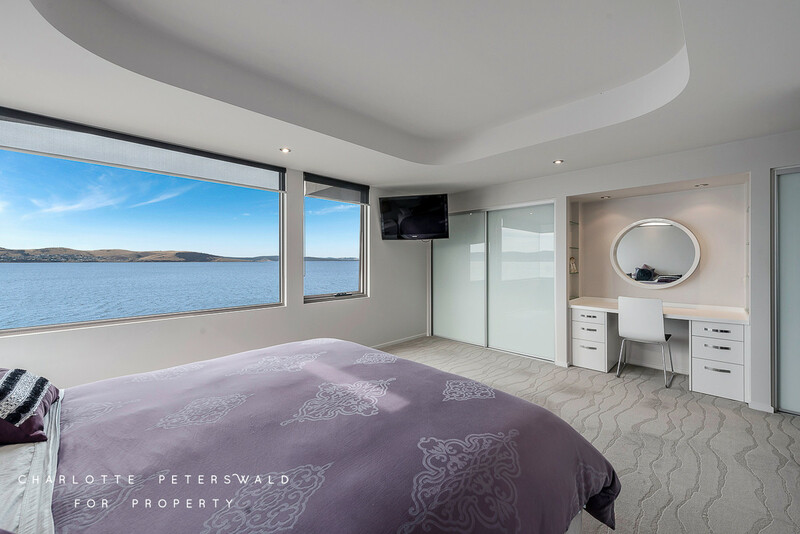 Heading down to level three, another bedroom awaits with walk-in dressing room and en-suite. 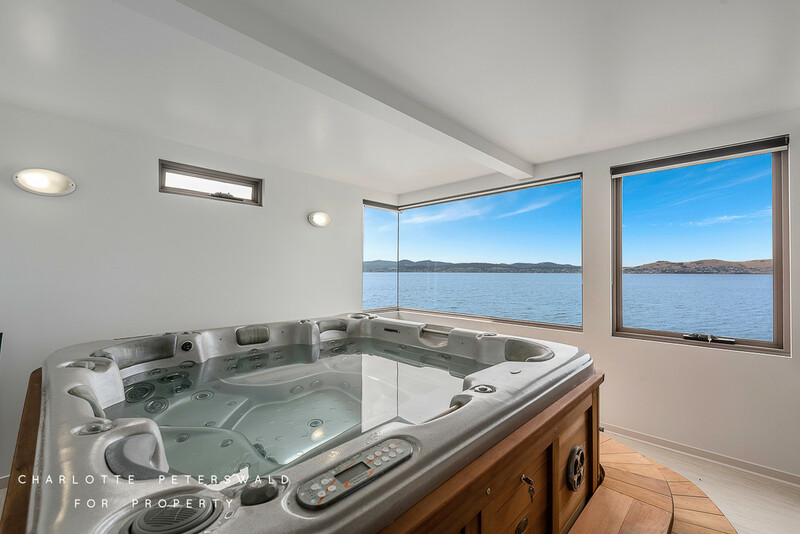 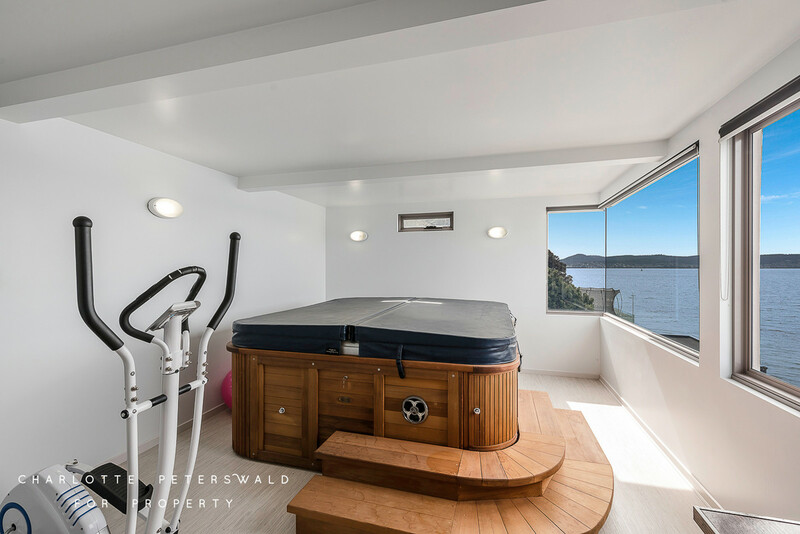 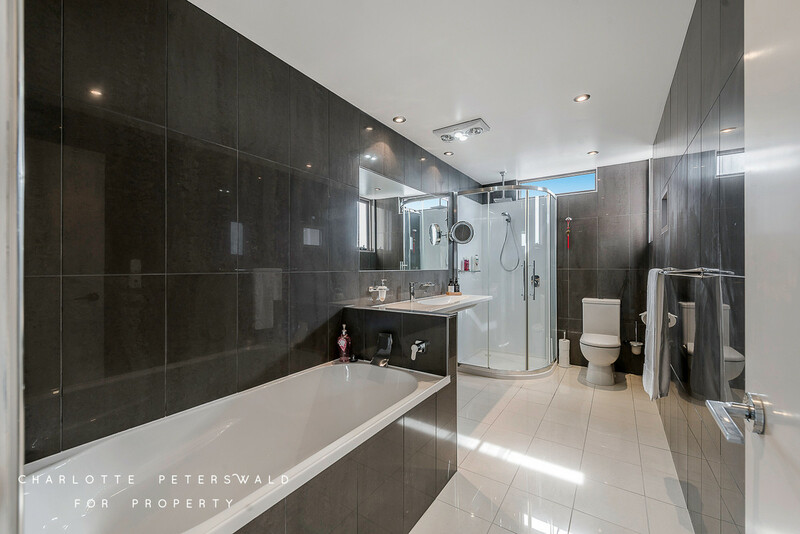 Next door, a spa room with jacuzzi to soak in and up the stunning views with room for home gym equipment and plenty of storage. 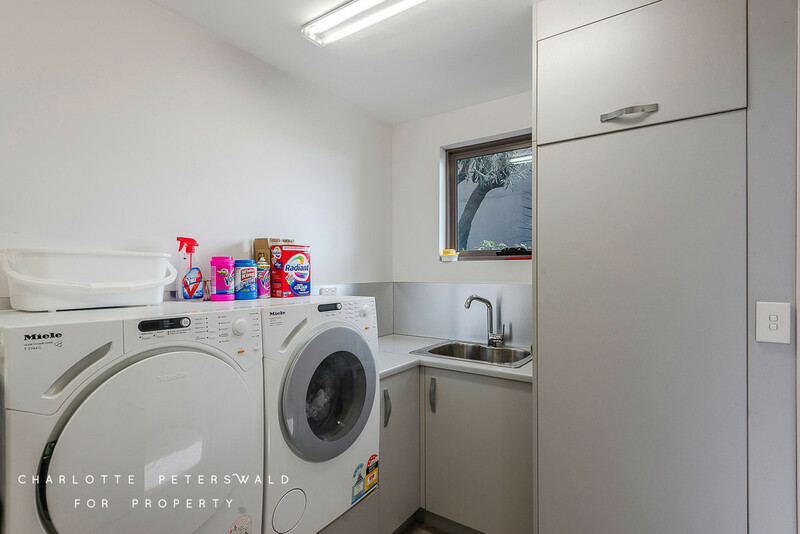 On the lower-ground level once more, the large laundry is home to ample storage and room for essential appliances to service the busiest of families. 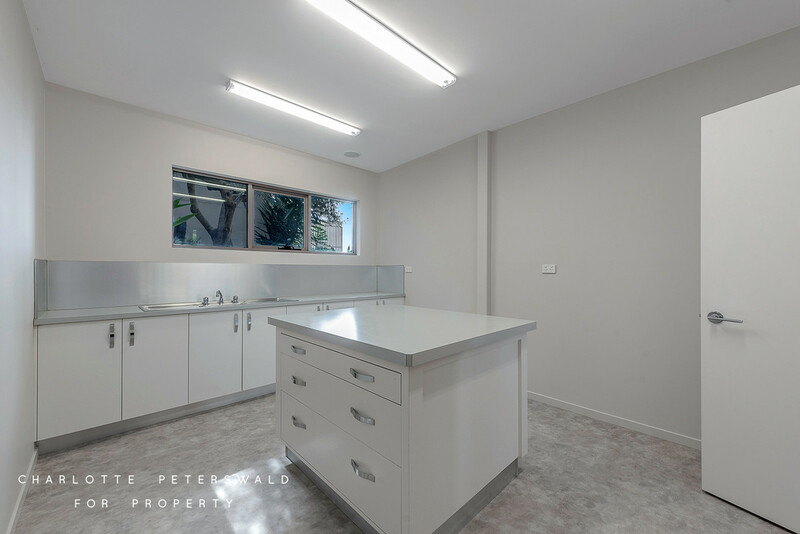 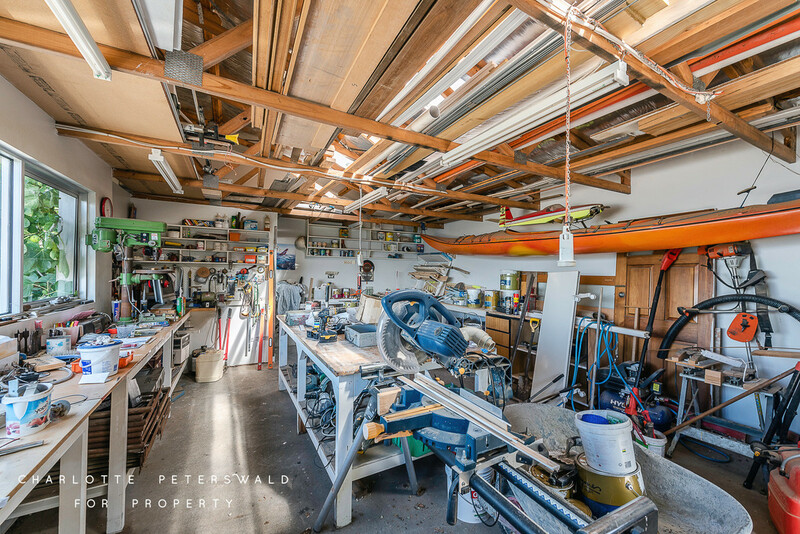 A workshop and storeroom are also accessible with an island bench, as well as the patio and utility area. 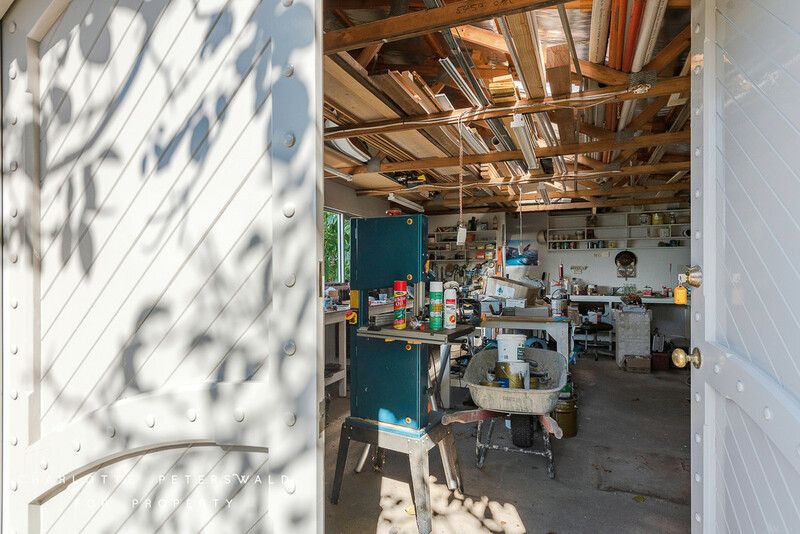 An additional workshop is located on-site and conveniently contains a toilet. 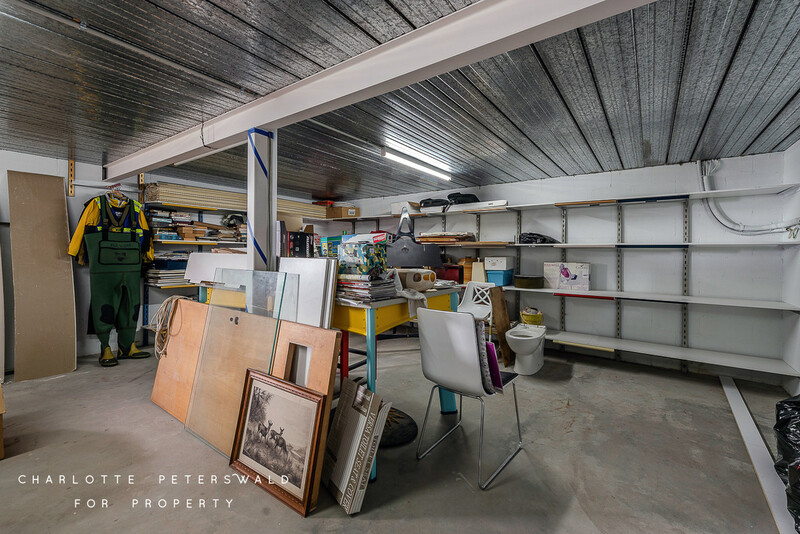 There is a spacious garage with automatic roller door that ensures complete security, and the driveway provides ample off-street parking for additional vehicles. 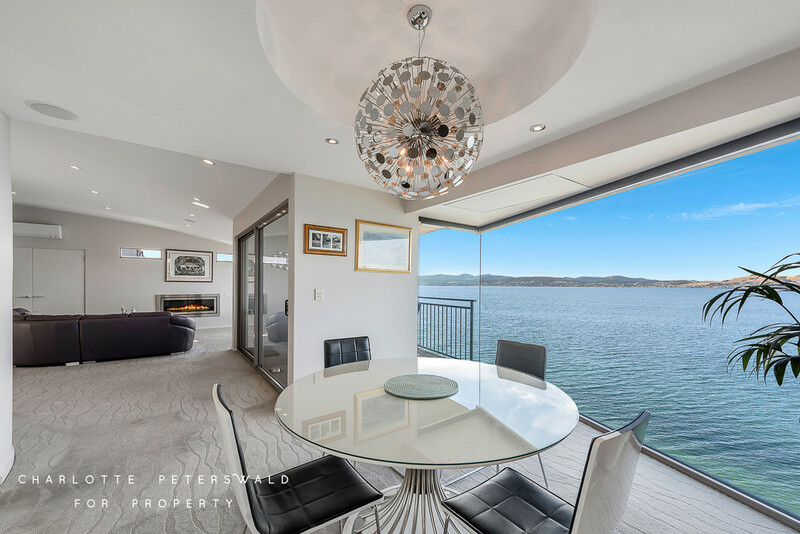 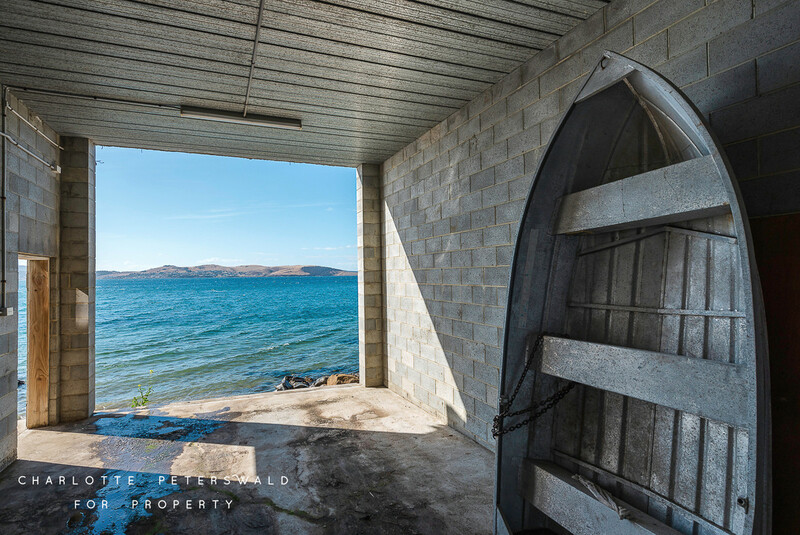 Completing the waterfront dream home is a boathouse with a rooftop terrace. 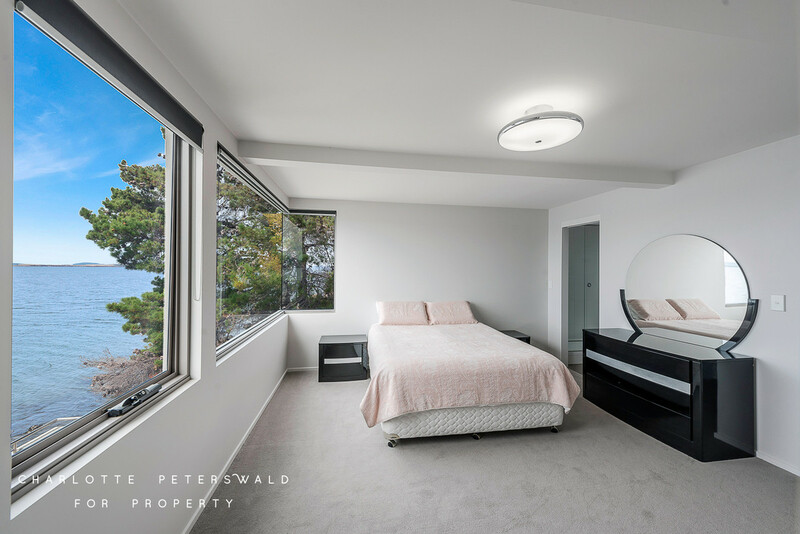 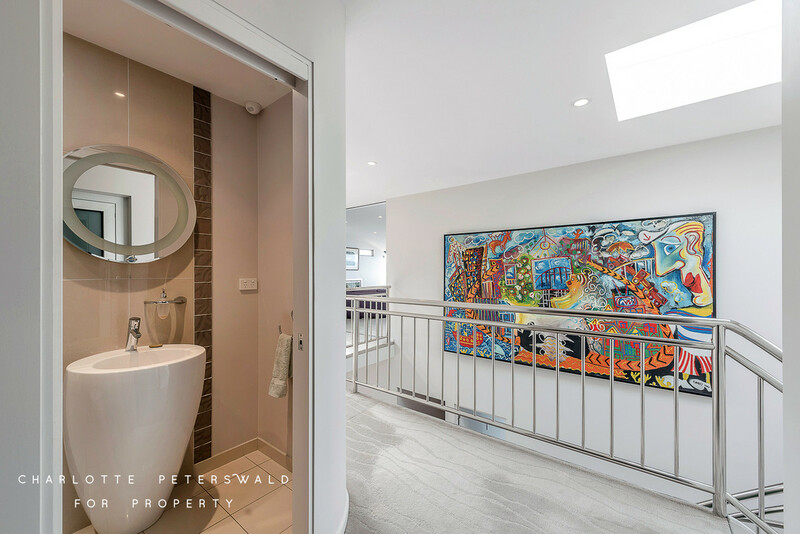 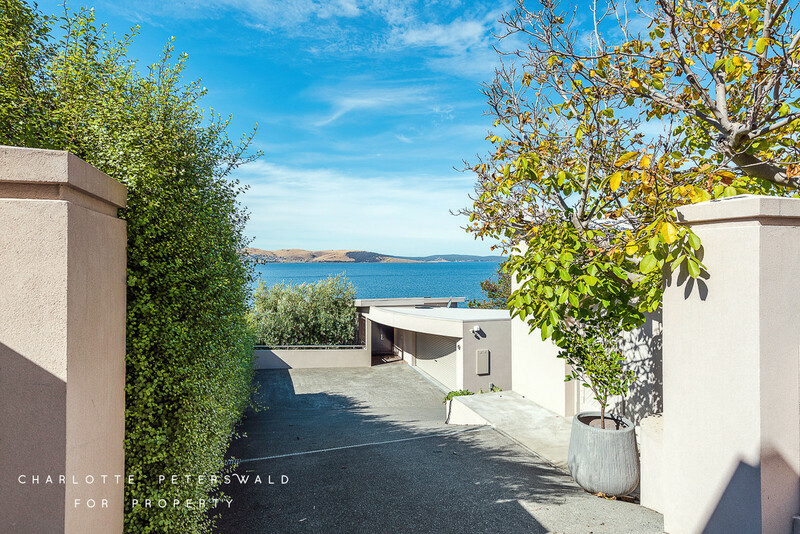 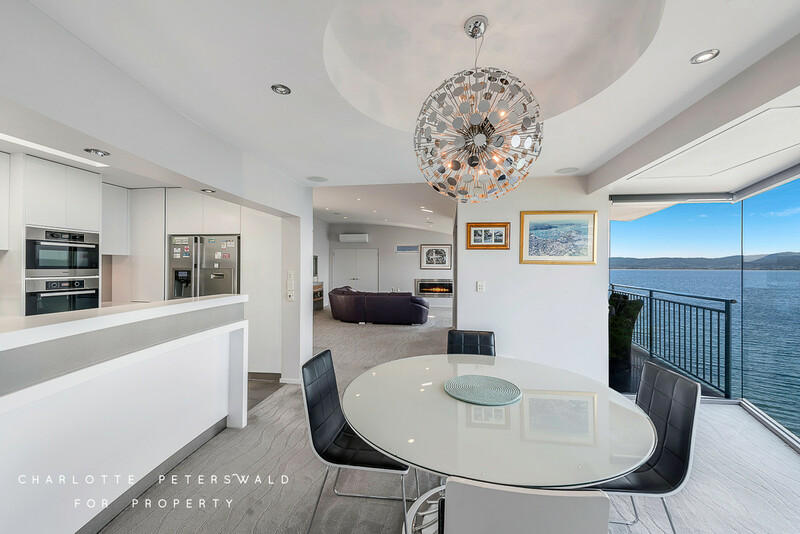 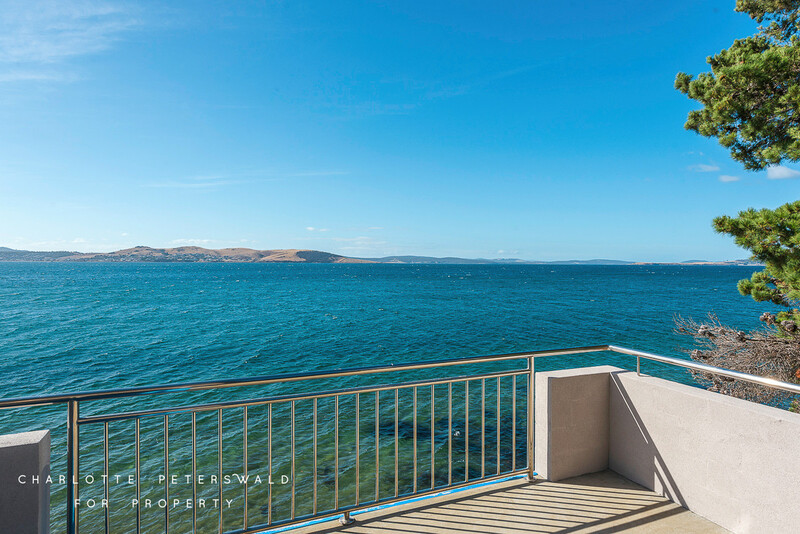 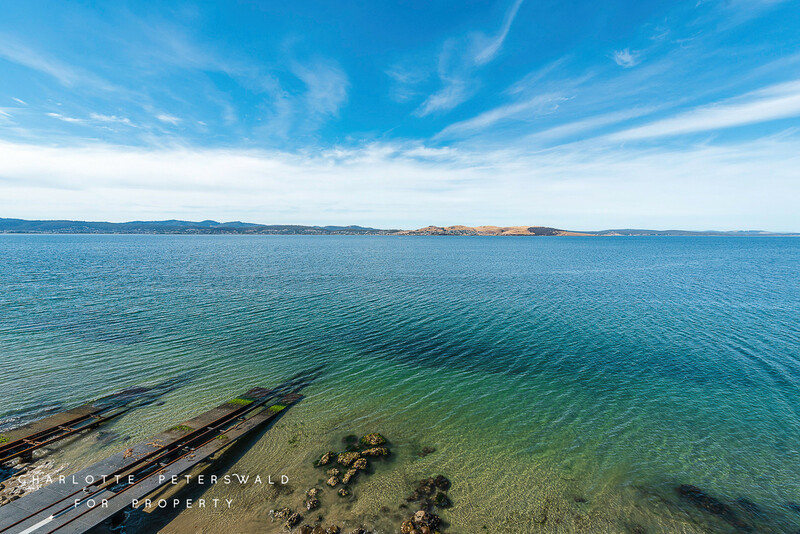 This incredible property is just minutes from the convenience of central Sandy Bay and within close proximity to the CBD. 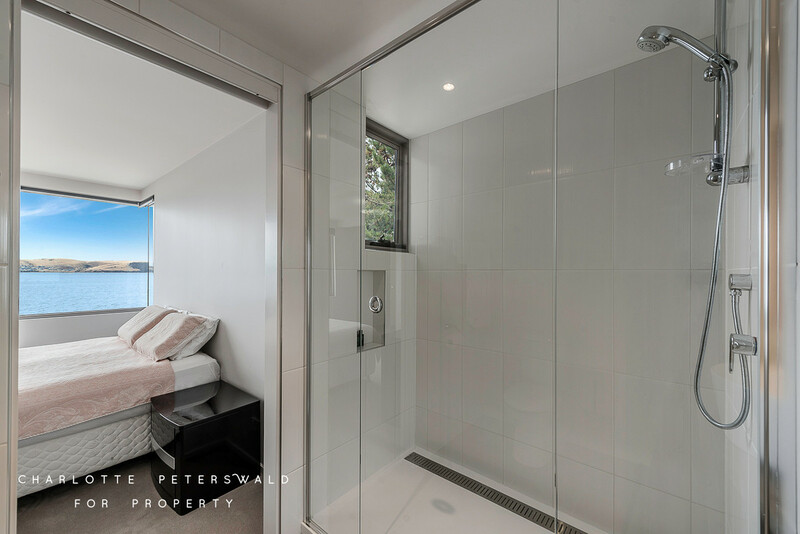 Set back from the bustle of the main road, privacy and seclusion is paramount. 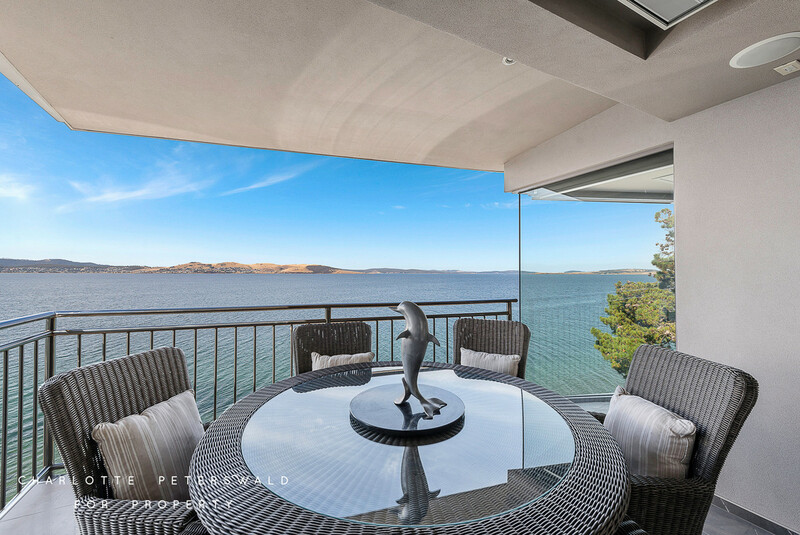 This home offers everything you’ll need to live in absolute waterfront luxury.